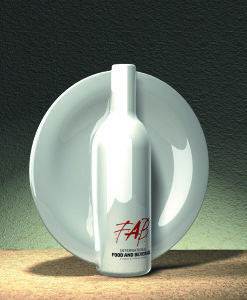 The FAB Awards is an International Awards program focused entirely on work done for Food And Beverage brands and outlets. Now in its Twenty-first year, The FAB Awards has taken entries from many Clients, every leading Agency Network, Design Consultancies and many important Challenger Agencies from over 60 countries around the world. Entrants may choose to enter their projects into either the Creative Excellence Categories OR the Effectiveness Categories or both. The FAB Awards Agency of the Year for 2018 was BBDO New York, and other FAB Awards went to countries from around the world, all presented at our Awards Dinner held in the glorious surroundings of The Hurlingham Club in London. The FAB Brand of the Year Award was won by Mars, Incorporated, after bagging a phenomenal 13 nominations across the various categories and winning eight FAB Awards and one FABulous Award. The FAB Brand of the Year Award, as well as The FAB Agency of the Year Award, will be sponsored by Google for the fifth year in a row. There is still no other International Awards program which shares our focus, and The FAB Awards continues to offer Agencies and their Clients a unique opportunity. ALL FAB entrants are also invited to our FAB Forum – Food And Beverage Forum – A Thought Leadership at Google, attended by several Brands and Agencies too. We use a permanent hashtag #thefabawards and then each year it changes to reflect the year. I.E. #fabawards2019 #fabawards2020 #fabawards2021 #fabawards2022 etc. The FAB Awards are a Registered Trademark!